Spiders have eight legs and aren’t technically considered insects, but are arachnids. However, these fast creepy crawlies give people the heebie jeebies just as well as any bug. Rather than living in fear of spiders, try to think of them as a positive creature. Spiders eat a lot of other insects, helping to keep us from being overwhelmed. Science is also drawing on the spider for inspiration in a number of practical applications which benefit humans. 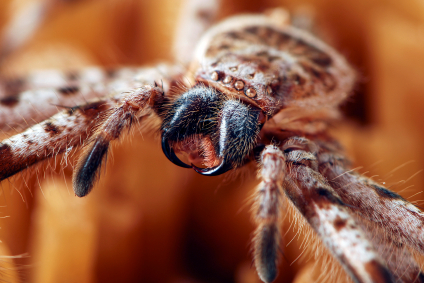 Researcher Frederick Sachs, a biophysicist at the University of Buffalo, is using the venom of the Chilean Rose Tarantula to treat muscular dystrophy. The use of the venom is still in trial stages, but has shown promising results. Muscular dystrophy affects children, causing their muscles to progressively weaken. Part of this is from a great amount of mechanical stress placed on the muscles. The spider venom affects the ion channels in muscle tissue, shutting them off, and effectively reducing the stress placed on those muscles. Sachs found that this helped improve muscle activity in laboratory mice. Spider venom also contains a special group of peptides in a helix shape that inserts itself into cells and destroys their ability to function. Used on an animal, this means lunch for the spider. However, these peptides work on bacteria too. They are currently being researched for potential topical applications on wounds, to kill cavity causing bacteria in the mouth, or to create an antibacterial coating on medical implants. As mentioned previously, spider venom can switch ion channels on and off. Some venom is capable of shutting off the ion channels associated with nerves in the skin and skeletal muscles. This potential treatment for chronic pain is still in the early stages of research. However, it could lead a new brand of highly effective muscle pain killers in the future. Spiders and their venoms have evolved all over the world to target specific prey. This evolutionary trait means that spider venom can help inspire the creation of species specific pesticides. The pesticides are, again, developed from the peptides in the spider venom that attack certain insects. With proper development, they could be used on plants without harming the environment or people. One company, Vestaron, is using yeast to grow spider venom peptides after harvesting the initial venom from a spider. If approved for use by the FDA, this venom pesticide would first be used on high value crops. Spiders are providing the medical and scientific community with lots of inspiration for new technology. 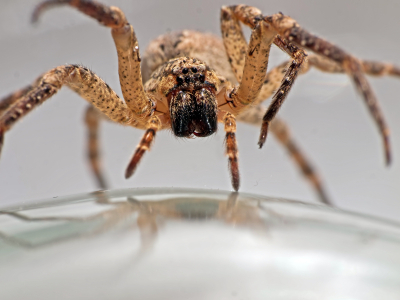 We may see drugs for chronic and life-altering conditions derived from spider venom. Spider venom may even be used to create all natural pesticides that don’t poison the environment, but are designed to target a specific group of insects. About the author: Chris is a blogger for a montclair pest control company. The only one of these I didn’t find really creepy was the pesticide idea. The idea of being injected with spider venom-based medicine is strange, but I do hope it proves useful. In the meantime, bring on the pesticide. Our pest control in Vancouver could sure use it. Spiders do more good than harm. While our customers prefer them in the garden than in the house, it’s clear that humans are not their natural prey. The are nature’s own bug control. Thank you for the thoughtful article on their many not well known benefits.